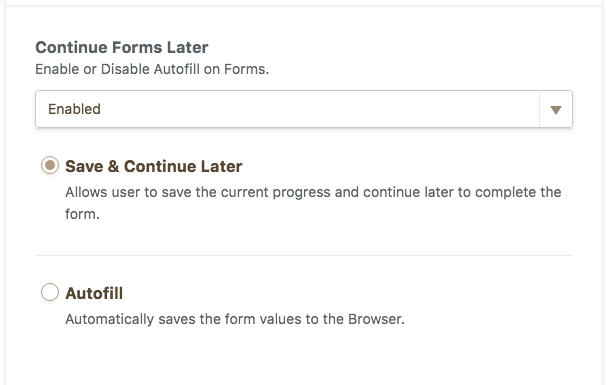 Can my users save their form and continue later? Is it possible that someone can begin filling out a form save it and resume filling it out later? You can enable it by first clicking show more options button in form settings. And click save & continue later option. Your users can access it by clicking progress bar button. Then click save and continue later button. 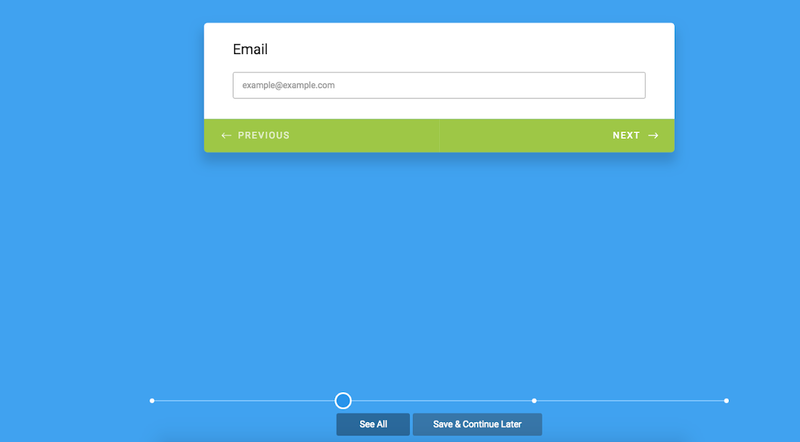 Then this panel appears, allowing your users to get the form they are working on by a link either by copying it or sending it as email.